The Bike that locked out the DH World Championship podium. 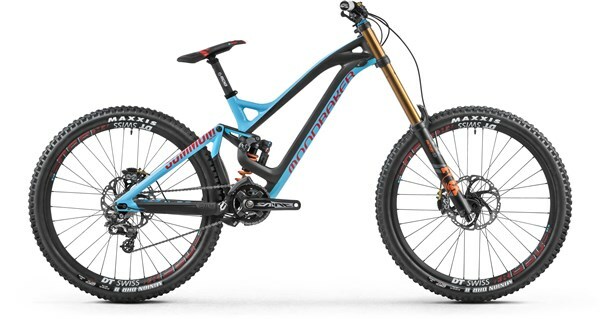 The Mondraker Summum Carbon Pro Team 27.5 is a downhill race bike that offers confidence and control on the most challenging tracks. With its proven World Cup race winning pedigree, you can be sure that the Summum offers the very best performance when the going gets tough. The full Stealth Carbon composite frame is lightweight, stiff, strong and features Mondraker’s Forward Geometry for increased confidence on steep MTB terrain. The dual link Zero Suspension System gives you 205mm of suspension travel that delivers confident big hit abilities yet is still extremely sensitive on small bumps. The system isolates suspension and braking forces offering Zero brake jack, so the bike keeps on soaking up the bumps even when you are hard on the stoppers. Zero pedal kick back ensures efficient use of your leg power too. Factory Versions of the Fox 40 fork and DHX2 rear shock offer composed suspension performance with the ability to fine tune the damping for easy set up. The SRAM XO1 DH 7 speed drivetrain offers slick shifting with all the gears that you need. SRAM Guide RSC disc brakes give you powerful stopping control. DT Swiss FR1950 wheels and Renthal bars round off the spec on this dialled DH race bike. 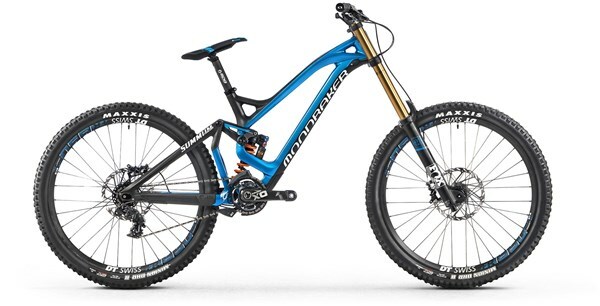 Ride faster on challenging terrain with the Mondraker Summum Carbon Pro Team 27.5.